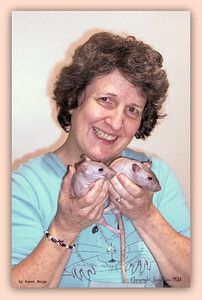 If you visit Debbie Ducommun, RatFanClub and want to return to the individual page below, "Rat Reproduction", here is the direct link: http://ratfanclub.org/repro.html. 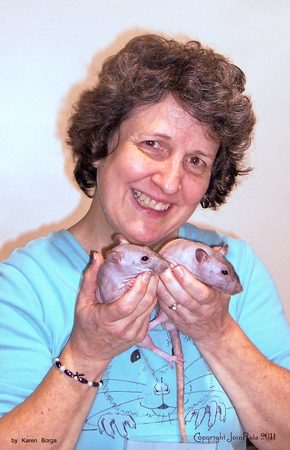 Debbie Ducommun flashes a big smile with her sweet hairless rats, One and Two. Taken in February 2011, at Pet Expo, in Maryland, by Karen Borga.